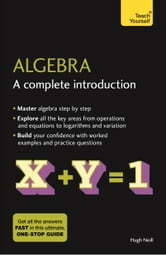 Algebra: A Complete Introduction is the most comprehensive yet easy-to-use introduction to using Algebra. Written by a leading expert, this book will help you if you are studying for an important exam or essay, or if you simply want to improve your knowledge. 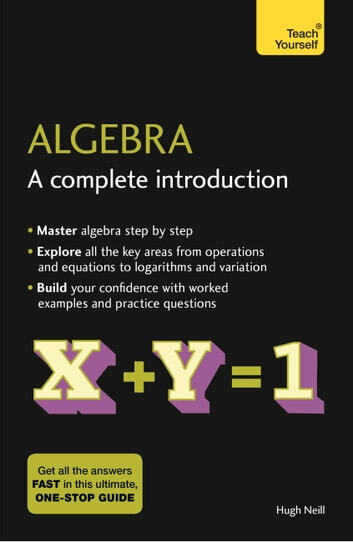 The book covers all the key areas of algebra including elementary operations, linear equations, formulae, simultaneous equations, quadratic equations, logarithms, variation, laws and sequences. Everything you will need is here in this one book. Each chapter includes not only an explanation of the knowledge and skills you need, but also worked examples and test questions.